In 1975 Jennifer Berman and Carole Lazarus began Glorafilia and brought a new freshness and excitement to this much loved gentle art. 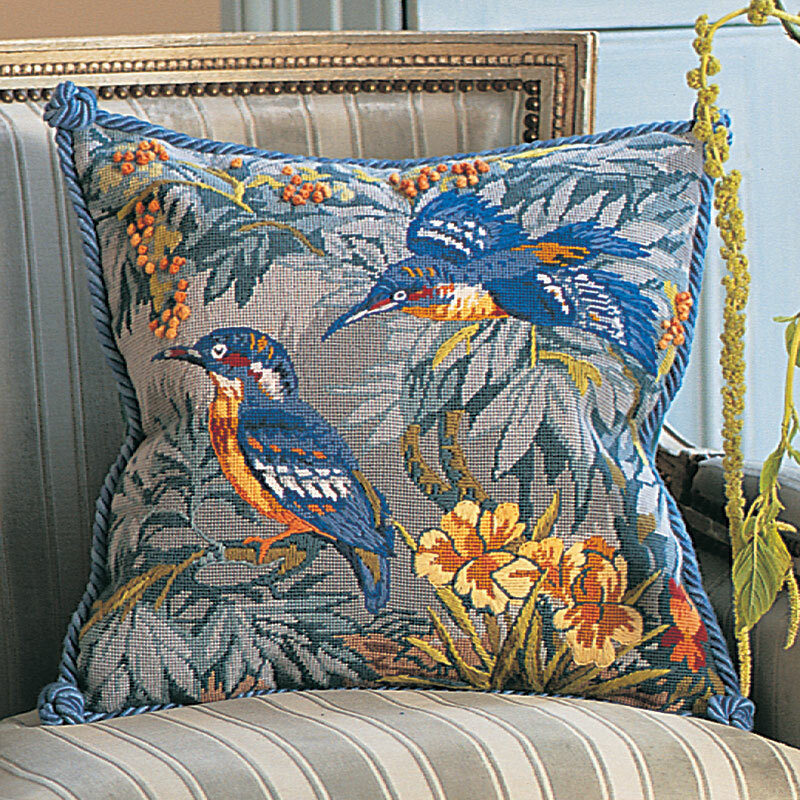 They are renowned for the quality and beauty of their needlepoint designs. 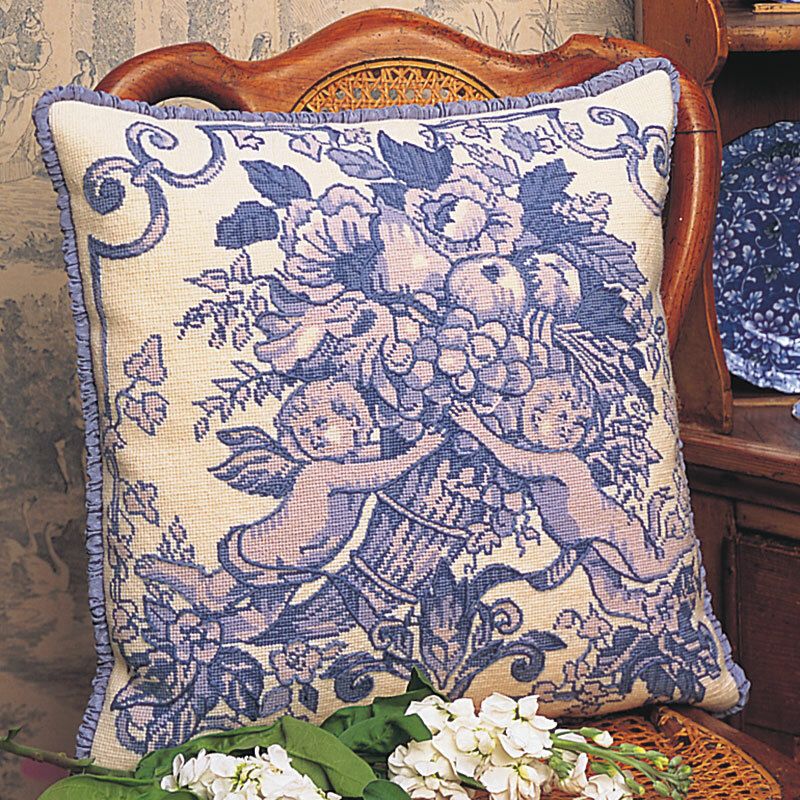 We are delighted to relaunch the company with a stunning collection of designs. We hope that the kit you choose will give hours of pleasure - they are suitable for either a beginner or a needlepoint enthusiast. A visitor to the Glorafilia shop in picturesque Mill Hill Village (now sadly closed) watched a canvas being worked and said, “All you are doing is filling in holes with wool. Is that it?” Yes, that is it. Some elaboration is needed to explain the glorious fun this can be, an adventure in texture, colour and experimentation; the relaxing effect of placing one stitch after another to build a picture of richly interwoven threads. That’s what needlepoint is. It is in fact the delicious art of filling in holes with wool! Each kit contains a canvas printed in full colour, all the yarn you require, needles, and full instructions, so you can get going straight away to stitch something for yourself or a very special gift.